This commission was to design a way to utilise a recess along a long corridor for much needed additional storage space. The design also had to conceal, but allow access to, the electricity and gas meters. I devised an internal layout with storage space for coats, shoes, scarves etc for regular use and added a cupboard above for occasional storage that maximised the space. The ‘Watul’ sliding doors provided a beautiful and functional solution as they are light weight but strong whilst also being attractive up close and from a distance when viewed at an acute angle. 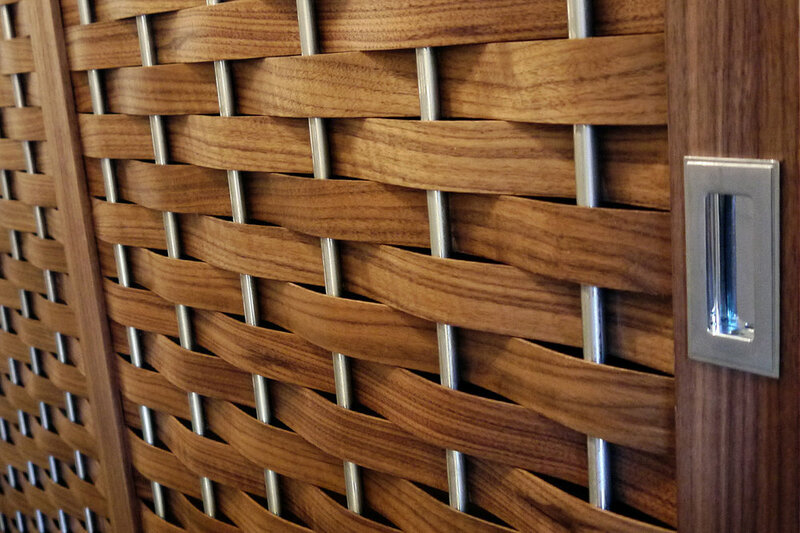 The decorative woven element can be incorporated into various designs from coffee tables to sideboards, beds and chairs.